In case you hadn鈥檛 heard, Trader Joe鈥檚 just released a bunch of items for Thanksgiving. And in true Trader Joe鈥檚 fashion, there are some weird but delightful-sounding things, including a bag of chips that apparently tastes just like turkey and stuffing. Apparently they were around last year, but I somehow missed the memo (rude). Now, Thanksgiving might be a couple weeks away, but that wasn鈥檛 going to stop me from running over to the grocery store immediately to try these. I took my dad along for the ride because he has the car and I didn鈥檛 feel like taking the Metro system (sorry, dad). Since I was just popping in, my father waited patiently in the car until I came back with my haul. The chips come in at $1.99 per 12-ounce bag (a bag that looked startlingly sparse when I opened it, but the science of that has already been explained). So, What Do These Chips Taste Like? 鈥淭he real science here is in how the seasoning reveals itself. First you taste the turkey, then comes the stuffing,鈥� Tara Miller says on Trader Joe鈥檚 website. 鈥淚f you close your eyes, you鈥檒l swear you can taste the creamy gravy 鈥� even as you crunch.鈥� There鈥檚 no turkey listed in the ingredients on the back, but there are starches like tapioca and proteins like torula yeast added, so that could contribute to the turkey taste is Miller is referring to. Are they good? I鈥檓 not even gonna delay the obvious: These chips were so good this review was taken in a moving car precisely because I could not wait until I got back to my home. 鈥楾is the season for meat on your potato chips, folks. Or something that makes you think you鈥檙e actually eating a roasted bird with some very convincing stuffing. The sage, thyme, celery, parsley, black pepper, and molasses all combine to make a truly delicious chip. Even though turkey might not be an ingredient on the back of the bag (which I would have appreciated since there鈥檚 an image of one on the front), they still taste great. So yes, I think these chips should be sold year-round and offered on game shows as parting gifts. In fact, right in the middle of my writing this post, my mom knocked on my door to get a second handful (she couldn鈥檛 wait and I understand). They really are that good. 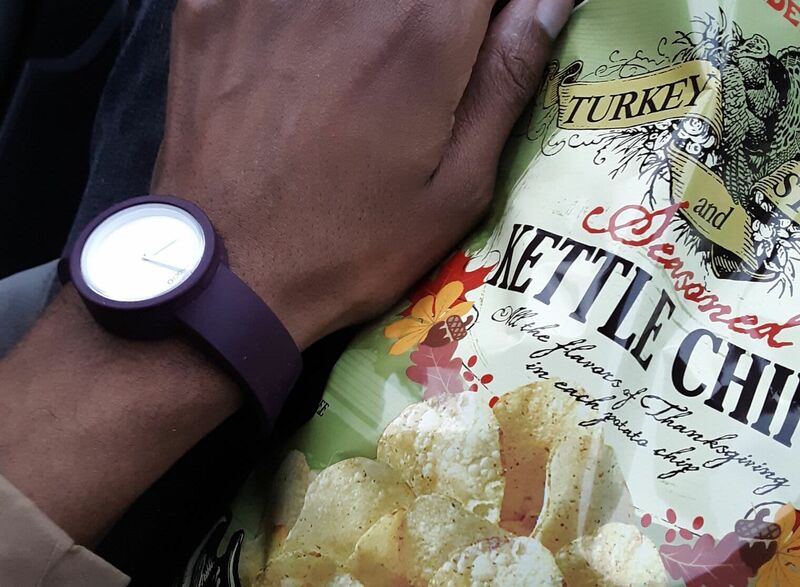 Have you tried these chips yet? What do you think?